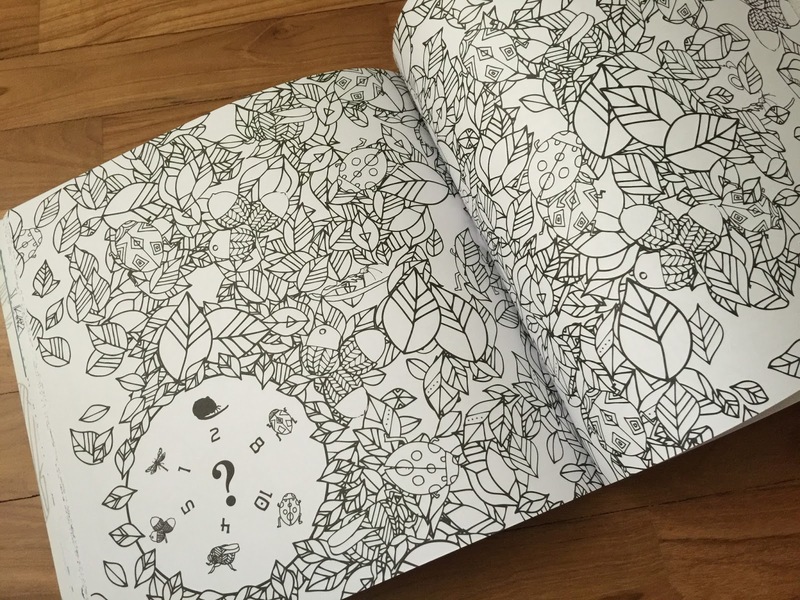 It's a colouring book based around a theme on nature... Lots of little critters- bunnies, bugs, owls, deers, song birds, swans... Lots of leaves and trees... There are some pages with just repeating patterns. The first few pages are really interesting, too. There's a little guide on how to blend coloured pencils to achieve different tones of colours, and some super basic colour theory. 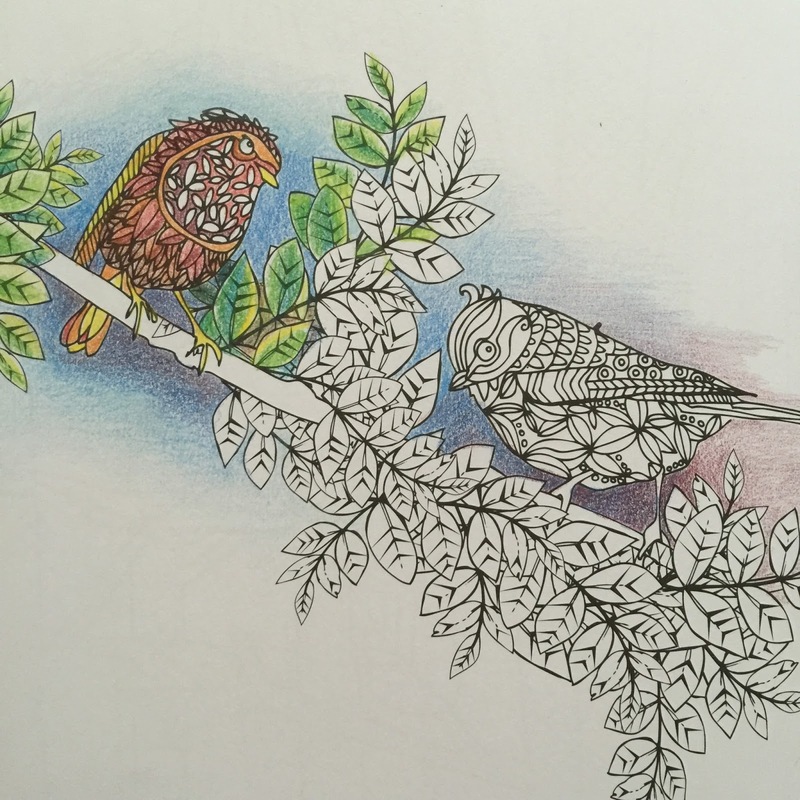 And then you also have two fully coloured pages to give you an idea on what you can do. 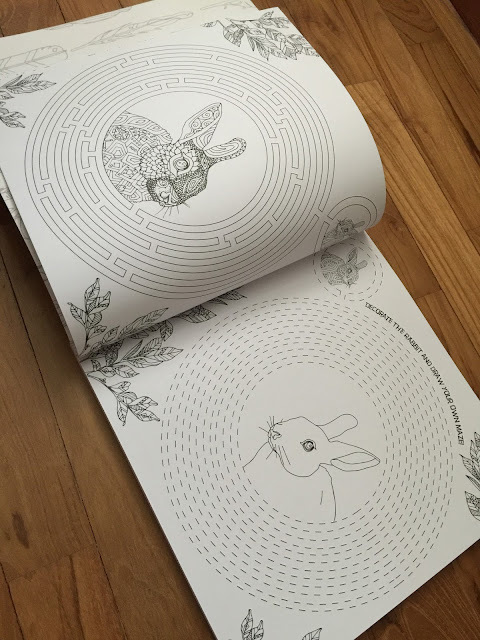 And scattered throughout the book are a couple of little Complete-It-Yourself pages. For example, one has an owl and you have to draw its feathers and hat. 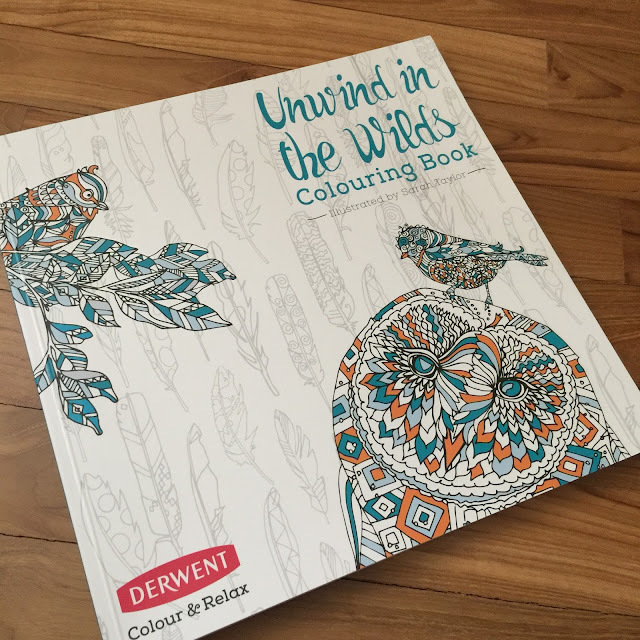 I haven't attempted any of those kind of pages cause when I am drawn to my colouring books, I usually am just craving to handle some colouring materials. So I wouldn't be in the mood to draw. There are other fun activities in the book, too. Some of the drawings are two-pages spread, and we all know what happens when that's the case... The middle part of the drawings get swallowed up by the binding. *sad face* But I'm happy to say that most pages are single spreads, and some even have nice borders so they'd look wonderful if you cut them out of the book to frame. I prefer to keep my pages IN the book, but to each his own, eh? Yep. Mostly greens, blues, and a yellow. 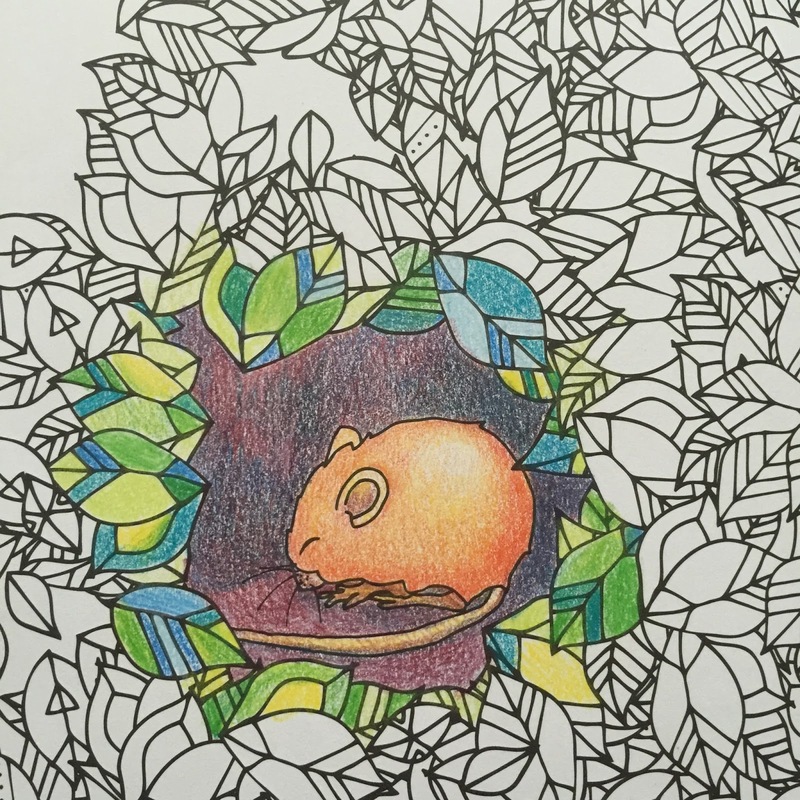 The mouse is actually orangey-red. No browns were used. Even the background is red plus dark blue. No browns or purples..
And here's a song bird. One of the advice that Sarah gave was to not be afraid to leave certain areas white. That's why I left the flower-y patterns on the bird's throat white. I rather like the page left this way. Pretty birb. Wanna' see another awesome colouring book? Try Enchanted Forest. hi! Are you a Singaporean?